For the most part, foreclosure homes vary in appearance. Some foreclosure sales are handled quietly and resold quickly by the lender. One day a moving van pulls up, loads the occupant’s belongings and departs, shortly followed by a real estate broker's sale sign. A few weeks later, a sold sign pops up and new owners move in. In other neighborhoods, a foreclosed home might be boarded and plastered with large signs advertising it as a bank-owned or REO property. Some foreclosed homes remain abandoned for years. The weeds grow high enough to cover sidewalks, pranksters throw rocks through second-floor windows, and the home becomes an eyesore for the neighborhood. Signs of foreclosures can leave neighbors wondering about the value of their homes. Owners of surrounding homes are concerned that a foreclosure might affect property values. If two comparable sales are regular transactions and one is a foreclosure or short sale, will the appraiser use that distressed sale as a comparable property? Cost Approach - This method considers the cost to build the home plus the value of the land. Income Approach - This is used to compare multiple units based on capitalization rates. Market Value Approach - This type of appraisal compares the subject property to three comparable sales in the neighborhood. To get answers, we talked to Derek Yuke, an appraiser at Yuke & Associates in Sacramento. Yuke tries to find arm-length transactions when putting together an appraisal. These are considered sales at market value, offered for sale by a willing seller and purchased by an able and willing buyer, with neither party under duress nor related. 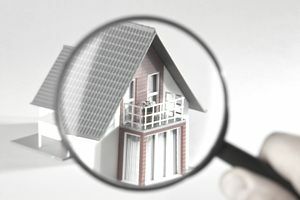 Even if it means pulling comparable sales from an adjacent neighborhood and adjusting for value, most appraisers, he says, can find arm-length transactions to use in an appraisal. Yuke has been in the business since 1996 and says, “If I do use a foreclosure, I explain why I used it. I say it’s not a good comp and don’t give it a lot of weight.” He says foreclosures do not represent market value, and he can always find regular sales to incorporate into his appraisals. "If there are only foreclosures in an area, then that affects market because it becomes the value," Yuke warns. Yuke continues, “If there aren’t any regular transactions, then you’re stuck. A condo development is tough.” What happens if there are only short sales or foreclosures within a homeowner’s association? According to Yuke, those are the best comps for that development because they are the only comps available. Distressed sales within a homeowner’s association also mean it’s unlikely that the owner paid that unit’s pro-rata share of the HOA dues. If the homeowner’s association fund runs low, it is the other homeowners who end up paying the tab in the form of higher association dues. Unfortunately, although many homeowner associations have the power to foreclosure if dues are in arrears, few have the money or means to do so, and those who do often forego the process when the mortgage amount is higher than the value of the unit. Although some studies show that neighborhoods with high foreclosure numbers see a drop of 1 percent in value, the value drop is not always due to the number of foreclosures. Often, falling prices are due to buyers’ perception of the area, coupled with the previous owner’s extreme neglect of the property. Some foreclosure sales appear to self-perpetuate. As soon as one homeowner goes into default, others nearby seem to follow. If the owner in default is evicted or abandons the property, the deserted home falls into disrepair. Homes with no curb appeal that need significant repairs do not sell for market value. Part of the drawback to buying foreclosures is the fact the homes are sold “as is,” and buyers have no guarantee of condition. Some homeowners who are losing everything due to foreclosure might think nothing about selling the built-in appliances and ripping out the copper plumbing to sell for scrap. Houses with missing features also lower neighborhood prices.